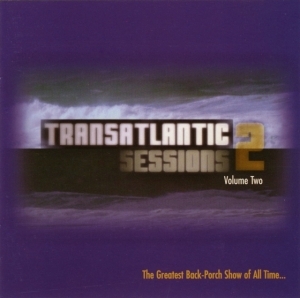 The Second of two compilation CDs from the BBC Scotland television series Transatlantic Sessions 2 (Volume 2) released on 25th October 1999. The series was filmed on the Atlantic Coast of Scotland at the Montgreenan Mansion House Hotel, Kilwinning, Ayrshire. The series consisted of two 30 minute films hosted by Aly Bain and Jay Ungar. John contributes He’s Got All The Whiskey accompanied by a wailing Eddi Reader!